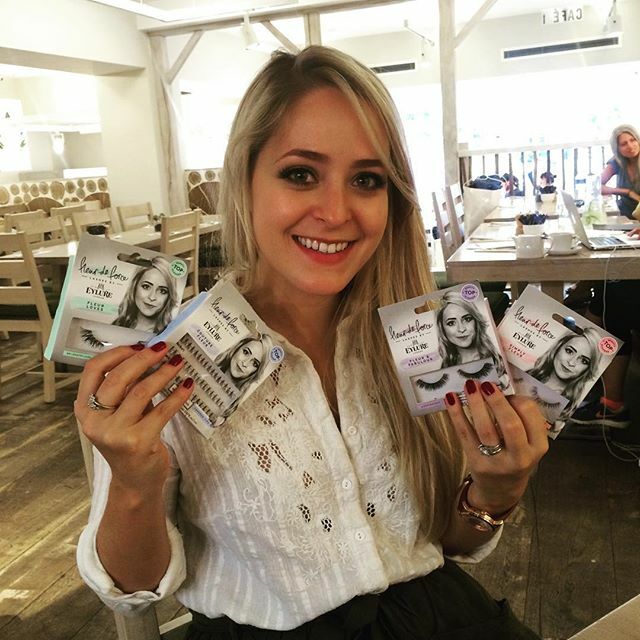 Fleur De Force Interview: "I feel honoured to be alongside Katy Perry!" The YouTube star opens up about her Eylure range, reaching 1 million subscribers and how to create a successful beauty vlog. Fleur De Force by name, Fleur De Force by nature. It seems as if the British YouTuber is making sure she makes her mark this year thanks to the best-selling Glam Guide and now a tie-up with one of the biggest brands in the beauty world. Joining forces with Eylure, Fleur has designed four sets of lashes and is now the face of the brand following in the footsteps of Katy Perry and Girls Aloud. PopBuzz: We're seeing a LOT of YouTubers bring out beauty products. Did that ever hold you back? Fleur: I said yes in about two seconds! Working with Eylure is a dream come true for me and I think they're the best lashes on the market. I feel honoured to be amongst Cheryl Cole and Katy Perry! PB: Exciting! And the book was a huge hit, too. Fleur: I wrote the book for everybody and not just for YouTube subscribers. A lot of time and effort went into the content, as well as how it looked. I think the designer was probably ready to kill me by the end of it! PB: So you had a lot of input? Because we've seen a lot of backlash regarding YouTube books? Fleur: My publishers were great at incorporating my views and what I wanted for the book and if that hadn't have been the case then I don't think the book would have happened. I wanted to be in a place where I wanted to write a book and I'm really proud of it. PB: And the fans have taken well to it all? Fleur: I want to work and I want to create awesome things that my viewers will like. I want to release products and YouTube content that I'm proud of and I'm doing what I think is the right thing when certain opportunities come along. PB: A lot of YouTubers just seem to be slapping their names on "stuff". Obviously this isn't the case with you but do you ever feel pressured by it all? Fleur: I'm very stubborn and I always speak my mind so for me, just putting my name on anything would never be right. I just couldn't sign my name away like that. I'm not judging anyone else at all or how anyone else works because everybody is different. PB: You seem to have so much going on! Fleur: I love working on new things and new projects and I love having my say... although I'm not sure whether people always agree with it. Luckily, with the lashes, they did. PB: Let's talk about the name, Fleur De Force. Did you come up with the name thinking that it could turn into a global brand? 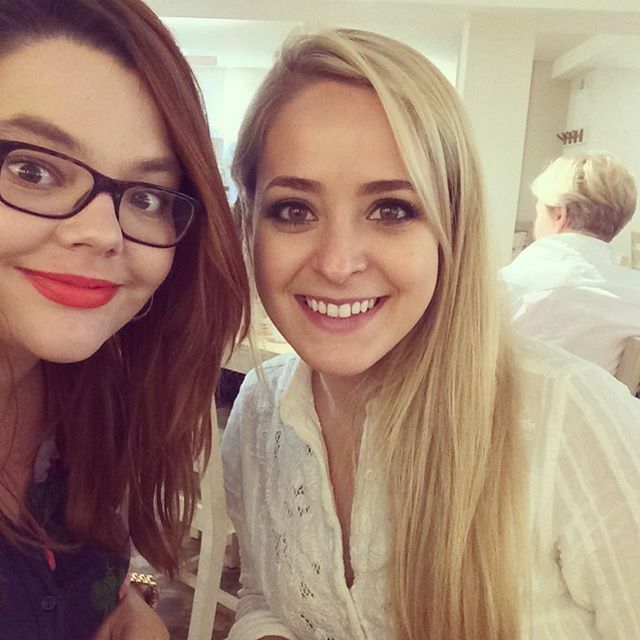 Fleur: I never thought about the name of my channel at all when I first started it! I'm very, very glad I came up with Fleur De Force. I was quite lucky I didn't pick a name that was too ridiculous and had too many numbers attached to it. I wanted "Fleur De Jour" when I set up my channel and I'm glad that was taken because the association with Belle De Jour would have been slightly awkward! Fleur: When I started YouTube, I uploaded five videos to begin with and in the first five days I got 50 subscribers and I could not believe it! I think that's what gives you the bug, though, constantly seeing the numbers and know there are people watching. PB: There's hundreds of thousands watching! Did you celebrate big style when you got to the 1 million mark? Fleur:I don't celebrate the subscriber milestones anymore. I'm quite a serious person and I'm always onto the next thing. I never stop to think what I've achieved. Once I've got to that point, I look to the next thing. PB: Ambitious! So, what advice would you give to someone wanting to start a beauty channel on YouTube? It seems a hard place to crack. Fleur: I think there are a lot of people breaking through the beauty YouTube circle but not everybody is going to be successful. YouTube is always changing. There's always something newer, bigger, growing faster that's going to come and overtake everybody that is currently doing videos. There's always space for something new and the issue is making content that is interesting, original and different and that's the tricky part. It's unrealistic to think everybody can do YouTube for a living, although I wish that was the case! It's all about having a certain set of skills. I think it's also important to keep everything in perspective and realise that, for example, 100 subscribers is a LOT of people! There's varying degrees of success, you might not have 40 million subscribers like PewDiePie but 10,000 subscribers is a lot and it's all relative. The numbers now have got silly big that it makes everything else seem like less of a big deal when it really is. PB: We've seen a lot of people side-eye beauty vlogging for not being serious enough. What would you say to that? Fleur: Beauty vlogging is fun and lighthearted. It's not meaningless but it's not the heaving hitting stuff. And I have had a lot of people come up to me, through my daily vlogging especially, and tell me it's an escape. You're not helping [viewers] by giving them advice but you're there for them when they want to escape from what's happening in their life. So whether you're from a totally different walk of life, a different country... polar opposites in races, sexuality etc but if they can relate to you it's that moment of escape. It does make a difference to some people and I've had a few people over the years who have really got me quite emotional with their stories about how my, seemingly meaningless, content on the Internet has helped them. PB: We agree! So, after the Eylure range, what's next for you? Fleur: I'd really like to do is a fashion line and that's my next big aim. My problem is, I like everything! I'd love to do home wear, I'd love to do bags, I'd love to do clothes... but you have to be careful not to spread yourself too thin! PB: And your home life with Mike? More dogs to join Squidge, Treacle and Piglet? Fleur: I can't have any more dogs. I think I probably want kids at some point in the next few years. I'm putting the dogs on pause, thinking about kids in a few years and probably more dogs in about 10 years time. If I wasn't doing YouTube, I'd be running a dog hotel! Fleur's Eylure range will be available in Boots stores and online from today!